SUZUKI SJ413. QUALITY PUMP. FITS G13A ENGINES TYPE 1,2,3,4,5 & 6. 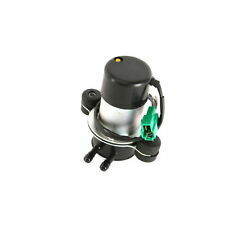 SUZUKI SJ 413 Fuel Pump ADK86803 1.3L. Intake Manifold Injection/ Carburettor. SUZUKI SJ 413 09/84-08/90. BOSCH WIPER BLADES & MOTOR. CHAMPIONS WIPER BLADE. BOSCH IGNITION & FUEL PARTS. APEC BRAKE DISC & PADS KIT. 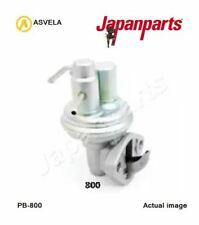 SUZUKI 1510083000, 1510083010, 15100A83000, 15100B83000. Function Fuel Pump. These products are designed to be used as originally intended and not modified for purpose. N.B. products are usually supplied without fitting instructions. FOR SUZUKI SJ 413. Vehicle compatibility. Part specifications. 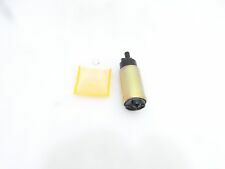 This is an original quality part manufactured by Blue Print. Q4485Q, Q4486Q. Engine Code: G13BB; Model year from: 10/2000. DAIHATSU CHARADE VI (L251, L250_, L260_) 1.0 Hatchback Petrol 05/2003 on FWD 12 58 43. DAIHATSU CHARADE VI (L251, L250_, L260_) 1.0 Hatchback Petrol 03/2003 on FWD 12 58 43. Is available with best quality matches the best price. Blue Print Fuel Pump With Gaskets Suzuki SJ 4WD Samurai 4WD ADK86803 - Free Delivery from Simply Car Parts - Brand New BluePrint part - 3 Years Manufacturers Warranty. SUZUKI SJ SERIES 1.3 Fd Est,Van,P/Up 4 x 4 5 MTM Type 1/2/3 G13A SJ413 01/85>12/86. 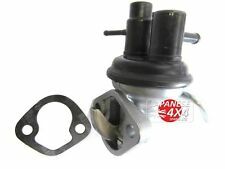 SUZUKI SJ SERIES 1.3 Fd Est,Van,P/Up 4 x 4 5 MTM Type 4/5/6 G13A SJ413 01/86>12/88. SUZUKI SJ SERIES 1.3i Fd Est 4 x 4 5 MTM Samurai G13BA SJ413 Manual Operation 03/92>12/95. SUZUKI 15100A83000. SUZUKI 15100A8300. SUZUKI 1510082610. 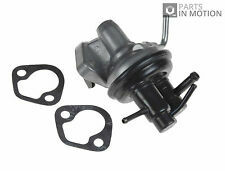 Part Number : ADK86803. Wash & Wipe. 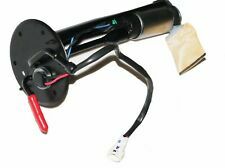 Be aware that your Model of Vehicle may have a choice of 2 / 3 different Fuel Pump Options. Such variations can apply due to upgrade designs on later chassis numbers, or the manufacturers using different OEM suppliers during production process. SUZUKI 15100B83000. SUZUKI 15100-A83000. SUZUKI 15100-83010. Mechanical Fuel Pump and Gasket. SUZUKI SJ 413 (OS) 1.3 (SJ 413) 08/1986 -. SUZUKI SJ 413 (OS) 1.3 (SJ413) 09/1984 -. SUZUKI 1510082010. SUZUKI 1510082610. SUZUKI 1510083000. SUZUKI 1510083000000. SUZUKI 1510083010000. Will this item fit your vehicle?. Manufacturer Part Number 247150. SJ OS G13BA G13A. Use engines info and vehicle YMM compatibility chart for general guide. Strictly important to provide VIN along with your detailed request since there can be different options for your car specific tech characteristics. Part No: G3000A. Strainers play an important role in preventing fuel contamination and ensuring the pump performs to specification. Spec: FUEL PUMP. 2/74 PERRIN DRIVE UNDERWOOD QLD 4119.